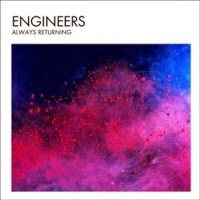 This album, Always Returning by Engineers is yet another of those releases that would probably have escaped my notice but for the fact that it landed on my desk for review. 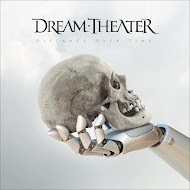 Not a new band, Engineers have previously released 3 albums, Engineers(2005), Three Fact Fader (2009) and In Praise of More (2010), and the current release, Always Returning, bumps that up to 4 albums. The band was formed in London in 2003 by bassist, guitarist and keyboard player, Mark Peters. There have been several changes in the band’s make-up, but founder member Mark has been present since the outset. 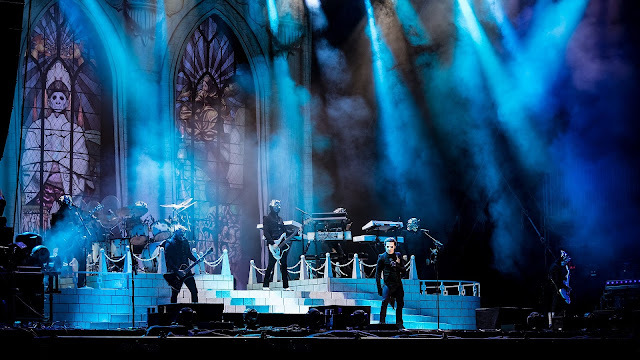 The current members of the band are Mark (vocals, guitars, bass and additional keyboards), Ulrich Schauss (synths) and Matthew Linley (drums, additional synths, additional organ and piano). Helping out on this album are the guests, Sophie McDonnell (vocals), Craig Sergeant (harmonica), Maud Waret (backing vocals) and Anna Drysdale (French horn). Influences that have been cited by the band are fairly wide ranging and include Beach Boys, Brian Eno, Cocteau Twins, Spiritualized and Pink Floyd, and their style has been described as post rock, dream pop, shoegazing and indie rock. Always Returning is a 10 track album with a total running time of around 41 minutes. The final, and title, track, is the longest on offer at 6:17 minutes and track 6, “Searched For Answers” is the shortest track on the album at just over 3 minutes (3:05). The opening track on the album is “Bless The Painter” (3:13) which has the voice almost merging as another instrument and although it works well, the track, with repetitive synths, just seems to start and then finish without much happening in between. “Bless The Painter” is a pleasant enough opener, but not a track that demands attention. The second track, which is also released as a single, “Fight or Flight” (4:23) is slightly more up-tempo and although the music is good and the vocal harmonies are great, I feel it is another example of a piece of music that once it has gone, it has really gone, as there are no hooks or stunningly unforgettable passages. There is a very distinct Beach Boys influence on “It Rings So True” (4:18), “Drive Your Car” (3:51) again highlights the harmonies and the melodic passages, without really immersing the listener in the music, although there are some interesting touches, and “Innsbruck” (4:19) with the melodic guitar and repetitive drum beat draws the listener in initially, and the track is almost over when you realize there has been no vocals. A very familiar passage, which I just can’t place, starts track 6 “Searched For Answers” (3:05) and despite the familiarity, or perhaps because of it, this track is a very catchy, commercial little number. 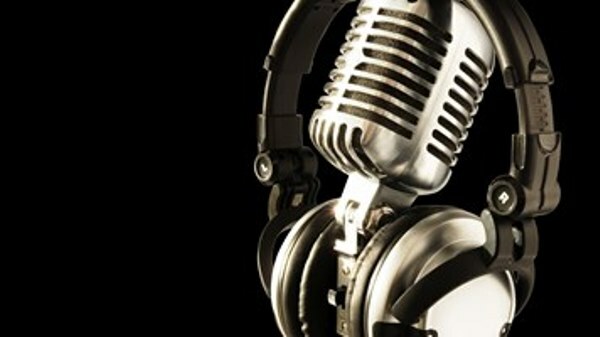 A tempo change in the next track, “Smiling Back” (4:43) initially piques the interest, but fails to have a lasting effect. “A Million Voices” (3:25) and “Smoke And Mirrors” (3:43) with synth/keyboard intros, again missed the spot and at this point the variation between the tracks was becoming less and less. The final track, “Always Returning” (6:17) seemed to work better than previous tracks, with perhaps the length allowing the music a bit of “fleshing out,” and although a little repetitive, this track did come close to the spot. 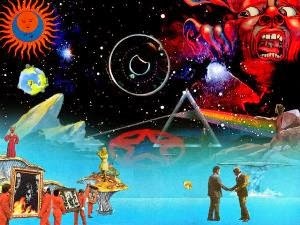 At best, I would class this album, Always Returning, as a pleasant album, which had some good moments, but my overall impression was that it didn’t possess enough variation within the tracks to “drag the listener in by the ears.” There were some individual tracks that I found good, but an album was just a step too far. As always however, I stress that this is a very personal opinion and my advice would be to give the album, Always Returning, several plays and then make up your mind what you think of it. I would dip into this album, on the odd occasion, for a track or two, but no more.